It is chiefly through their flexibility, functionality and sustainability that the textile solutions for interior design, architecture and hotel furnishings create their appeal. At the Interior.Architecture.Hospitality Expo, there is a whole new exhibition format dedicated to this particular topic. From 9 to 12 January 2018, the Expo will take place in Frankfurt, as part of Heimtextil, the leading international trade fair for home and contract textiles. Selected suppliers will be exhibiting their textile products and materials solutions within the exclusive framework of the new Expo in Hall 4.2. It is aimed specifically at interior architects, hoteliers and contract / commercial furnishings planners. The range of products on offer at the Expo provides both aesthetic and functional answers to questions of modern, sustainable design, as well as meeting the requirements imposed by fire-protection legislation and the physical constraints of the building. Under the heading ‘Interior.Architecture.Hospitality’, Heimtextil will be putting together a high-calibre range of professional development and information gathering opportunities for the contract and commercial textiles business, which will include, as well as the Expo displays, some interesting guided tours of the exhibition and a lecture programme specially designed for architects, interior architects and hoteliers. The special range of talks on the contract business called ‘Interior.Architecture.Hospitality Lectures’ will see internationally high-profile architects and hotel experts talk about their latest projects. On 9 January, from 9:30 a.m., the BDIA will be organising a professional development day for interior architects on the subject of ‘Fire protection for interior architects’. In another professional development session, on 10 January, Hannes Bäuerle and Simone Ferrari will be taking a closer look at how trends arise, as well as their limits in the design world with regard to colours and materials in particular. The title of their seminar is ‘Colour and materials in trend-oriented design’. Both seminars will attract an attendance fee. On 9 January, from 1:00 p.m., and under the umbrella of ‘Customization – design, architecture and craftsmanship’, the architects’ professional journal AIT is putting together a number of lectures by distinguished speakers such as Interior Architect Ushi Tamborriello, Designer Sigurd Larsen and representatives of the Zaha Hadid Architects from London. On 10 January, from 1:00 p.m. onwards, internationally reputed experts will, under the title ‘Care Spaces – new forms of living together’, consider the impact of demographic change, with ideas on communal living for the third age, as well as on supervised and suitably adapted homes for the elderly in urban centres. On Thursday 11 January, a series of lectures given in collaboration with ‘hotelforum management’ will provide information and insights into current key issues in the hotel business. 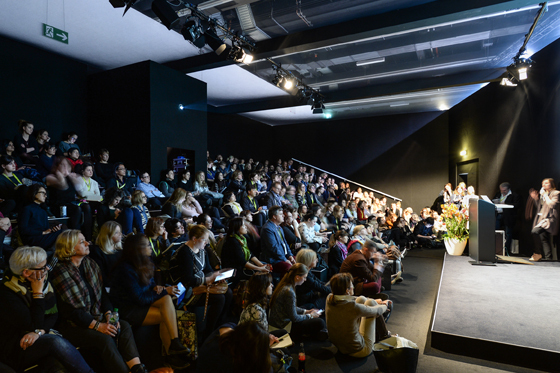 With the heading ‘How does urban living and urbanisation impact on the hotel business?’, the overall trend identified for this year’s Heimtextil, ‘The future is urban’, can be seen to be a unifying thread that also runs through all these lectures, designed for the hotel trade. On all days of the show, the partners of the project, including the hotel and foodservice magazine AHGZ, the Federation of German Interior Architects (BDIA), world architects and the two trade journals AIT and xia, will be offering several guided tours a day for architects, interior architects, specialists from the hotel sector and students. The tours will pick up on specific themes such as hospitality, customization and product innovation for the commercial and contract market. Some of them will be hosted by internationally renowned architects and interior architects. The rendezvous point for the guided tours is the Salon Interior.Architecture.Hospitality in Hall 4.2. The ‘Allgemeine Hotel- und Gastronomie-Zeitung’ (AHGZ) is also organising a trend tour of the fair, especially for hoteliers and hotel planners. On 11 January (12.30 to 14.00 hrs and 15.00 to 16.30 hrs), Corinna Kretschmar-Joehnk will take visitors to selected exhibitors in the contract sector and answer participants’ questions. The interior architect will be accompanied by Michael Struck, CEO of Ruby Hotels. Please note that the number of participants is limited. Registration, by email to heimtextil@ahgz-hoteldesign.de, is possible free of charge until 9 January 2018. 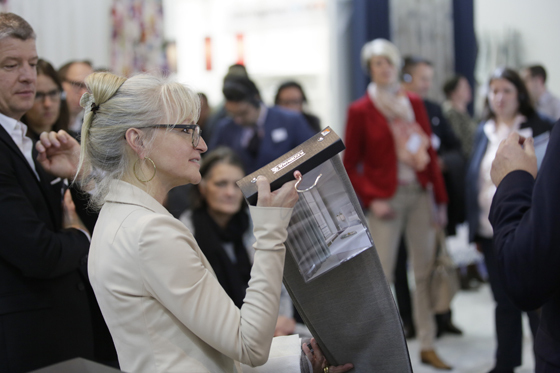 The tours held by the Hesse state association of the Association of German Interior Architects/Designers (BDIA) as part of Heimtextil are directed specifically at interior architects and designers. They will take place on the Tuesday (11.00 to 13.00 hrs), Wednesday (12.30 to14.30 hrs) and Thursday (11.00 to 13.00 hrs) of the fair.